Day 7. Headwinds and no shoulders. It was much farther from Fort Myers Beach to Fort Myers than I thought and I got off route. My route may have been a little shorter but if followed a busy road. The head winds were brutal all day. Really wore me down. It was much cooler today and I was hoping for big miles, but not with this headwind. Got a little past Port Charlotte and camped in a nature preserve near the Peace River. 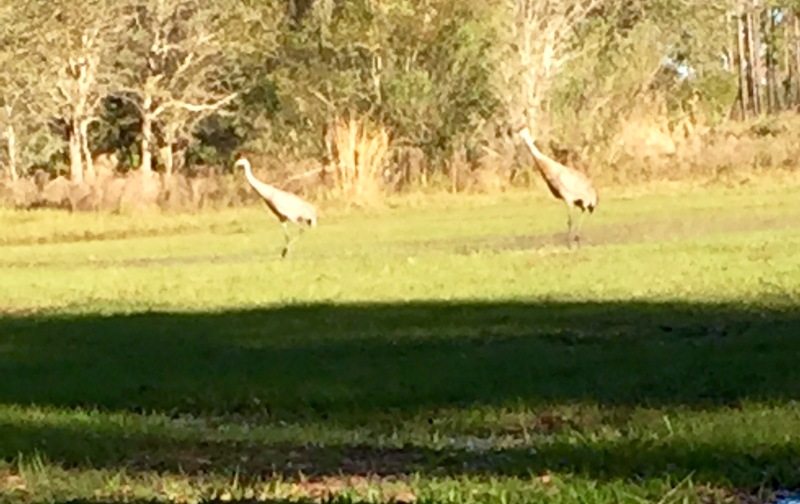 Some large crane like birds at Deep Creek Preserve.